Well I've gone and made a stupid mistake! While fitting my newly cleaned and rebuilt clutch housing I put the idler gear in the wrong way round and broke the casing. Is it fixable? Or is the only option a replacement housing? I spent so much time getting the case clean and only just had the bearings replaced. I'm so annoyed with myself for such a stupid mistake! Lesson learnt. You wouldn't have been the first to do it. I really don't think / feel welding it back on is a viable option as the Bearing Tunnel on the other side will distort and end up way out of alignment (further than as machined by the factory!). As all it really need to do is hold oil, you could try 3 Hail Merry's, and some Epoxy Metal. I will see if I can get a decent replacement housing. I'd buy a brand new one but this is a Pre A+ housing and as far as I can tell not available. Would JB Weld be up to a job like this? 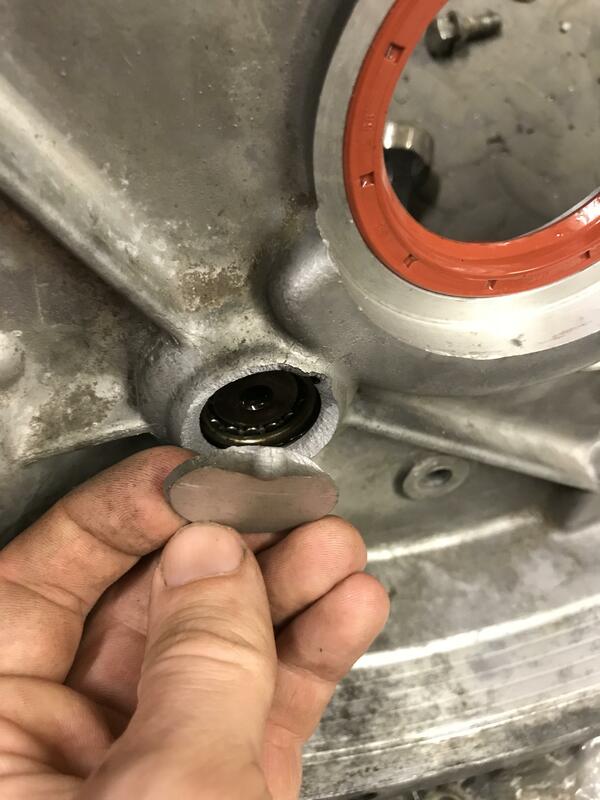 If you go this way, soak the Alloy Housing in boiling hot water for a good 20 minutes to expand it before fitting this adaptor, they fit MUCH tighter then the Bearing does. I think JB would be up to this, but I've not enough experience with it. When I bought my mini in the 80's my dad and I removed the engine and box for rebuild and found the back of the idler gear housing and been glued on with some sort of araldite type epoxy, so someone had fitted the idler gear backwards in the past, but it was bone dry. Have since spoken to someone who worked for austin rover who said rover supplied an epoxy resin that was regularly use to bodge up workshop mistakes. I have done over 1/2 dozen in 50 years of helping people out, and it has worked every time. There is no stress involved, it is just a matter of keeping the oil in the gearbox. I might give the epoxy a go. Should I use JB Weld or has anyone got any other recommendations? JB weld is excellent stuff, run a file/grinder round the area to make sure its nice clean/roughed up surface though. Luckily the surface is already rough haha. I'll give it a bevel with a file so I can get a decent amount of epoxy around the entire crack and then decrease it with brake clean.